Lynda Metcalfe began her interest in "metal stuff" while assisting her father in the repair and maintenance of her cars & motorcycles as a teenager. The courses offered in her college program provided a thorough design education in hand-crafting metal objects at various scales. 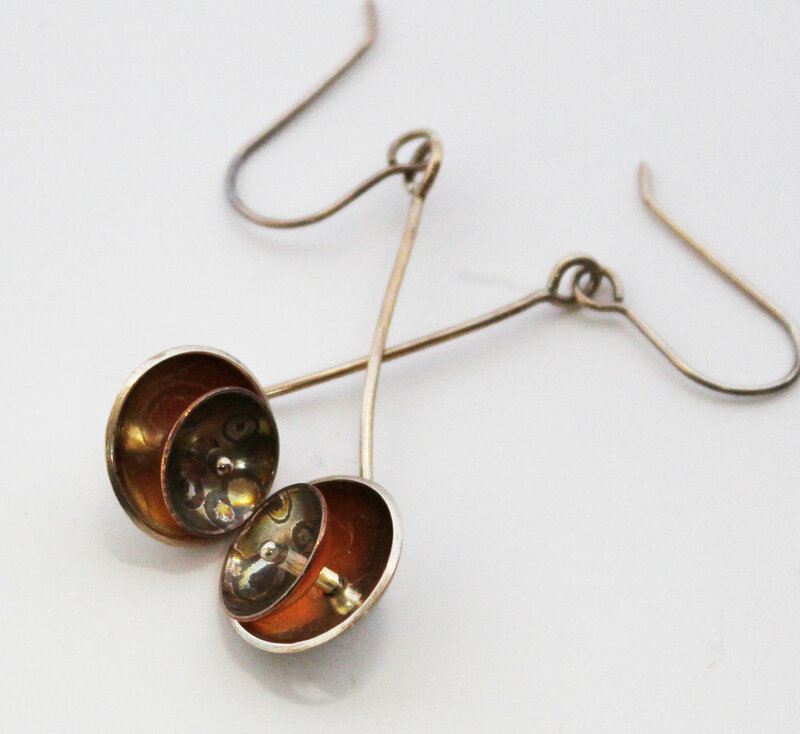 Jewelry making and architectural ironwork were taught using a variety of processes & methods such as fabrication, sand casting, machining, and forging. After graduating in 1992, Lynda spent most of her creative time working on architectural ironwork projects. 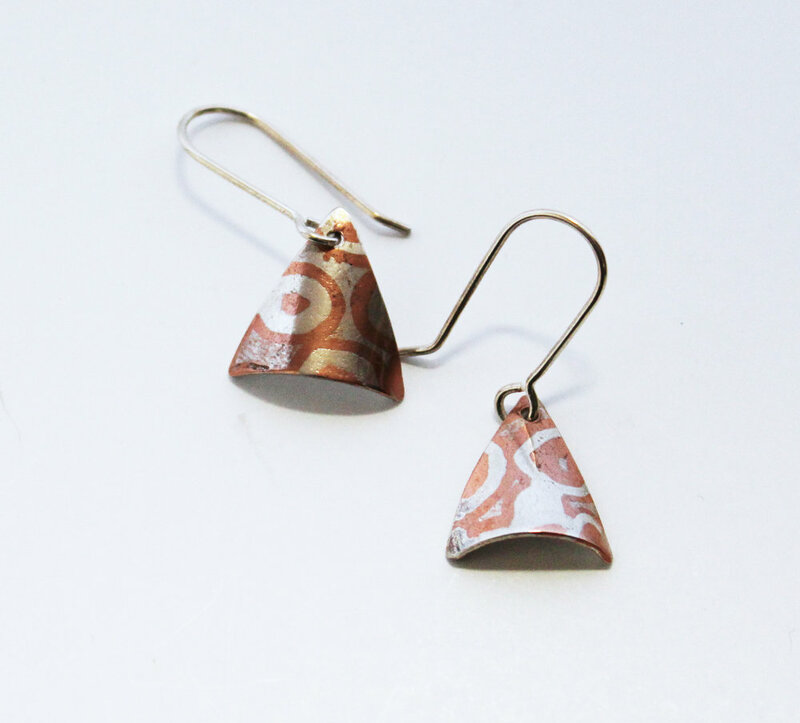 She began on a smaller scale after assisting in a mokume gane workshop by Bob Coogan at Appalachian Center for Crafts in 2001. 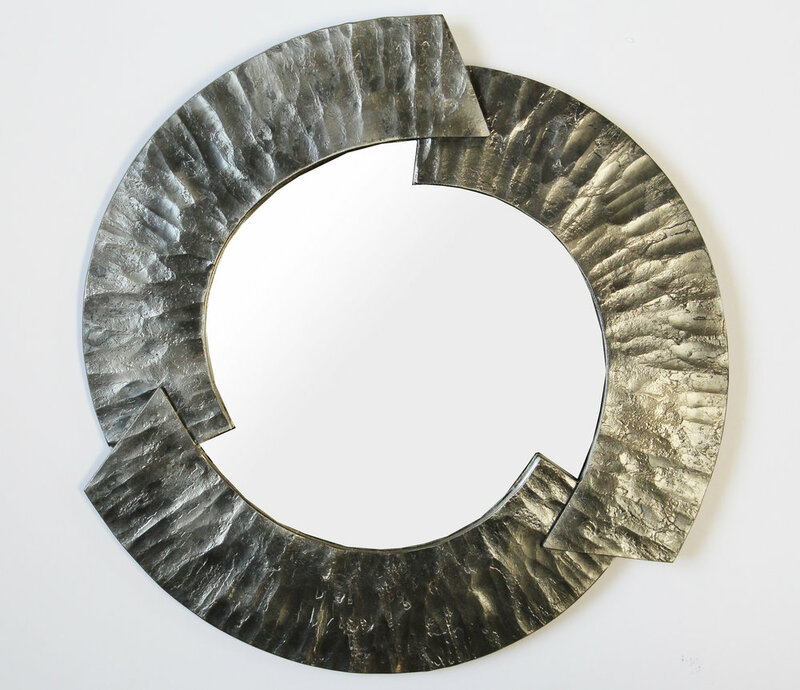 Metcalfe's work reflects her love of mokume gane, a 17th century Japanese art form which features attractive patterns through the exposure of layered, fused metals. 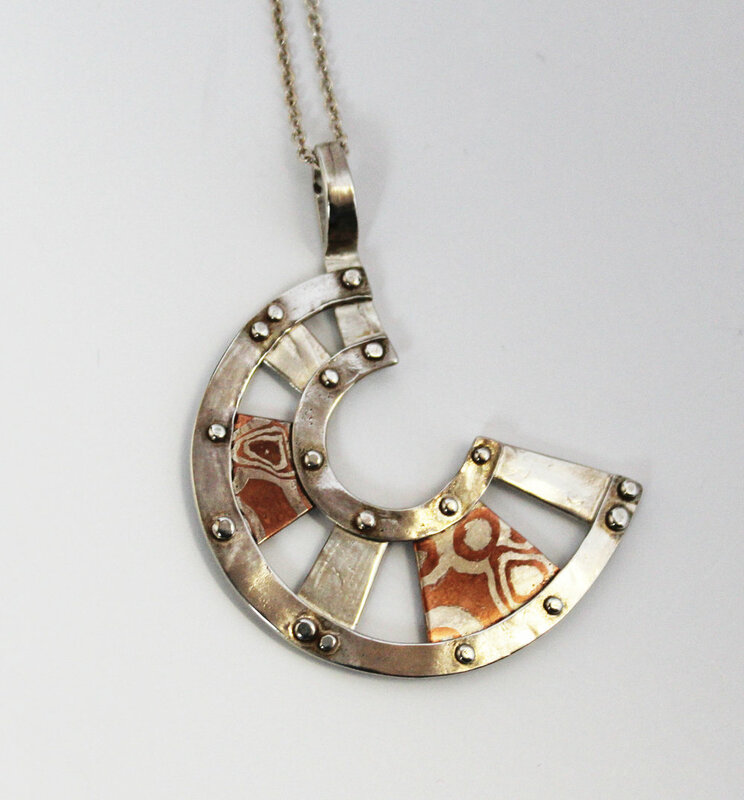 The influence of mokume gane can be seen in Metcalfe's understated jewelry designs in fused copper and silver. Mokume Gane Jewelry Care information: For periodic cleaning, use a soft polishing cloth. 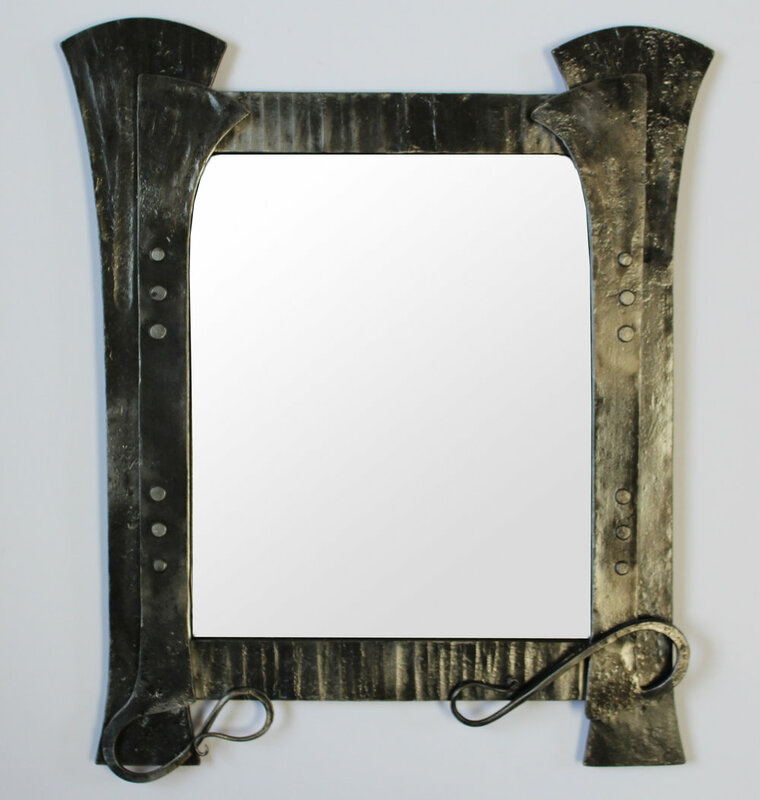 A cleaning dip may also be used, which will temporarily remove the patina on the copper, leaving it pink in color. Over time, the copper will return to its brown color.